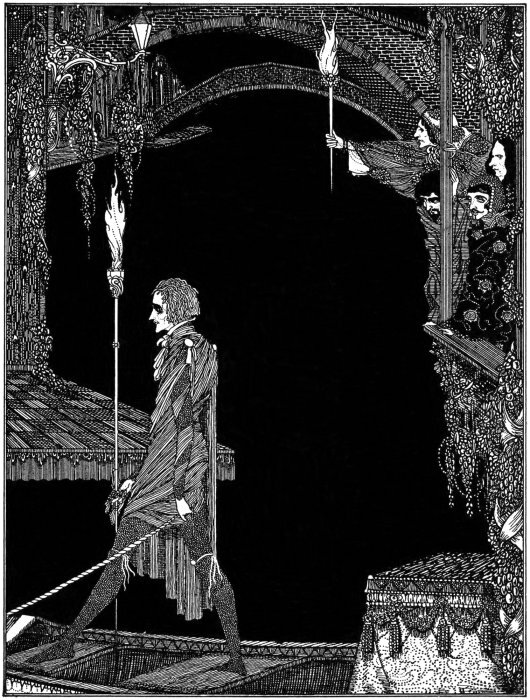 Since Edgar Allan Poe’s stories of suspense and horror were first compiled as Tales of Mystery and Imagination in 1902, many gifted artists have tried their hand at illustrating them, notably Arthur Rackham, Edmund Dulac and Gustave Dore. 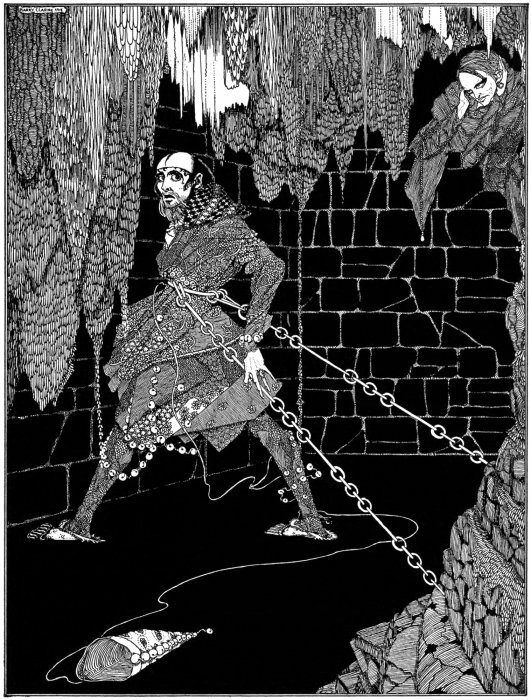 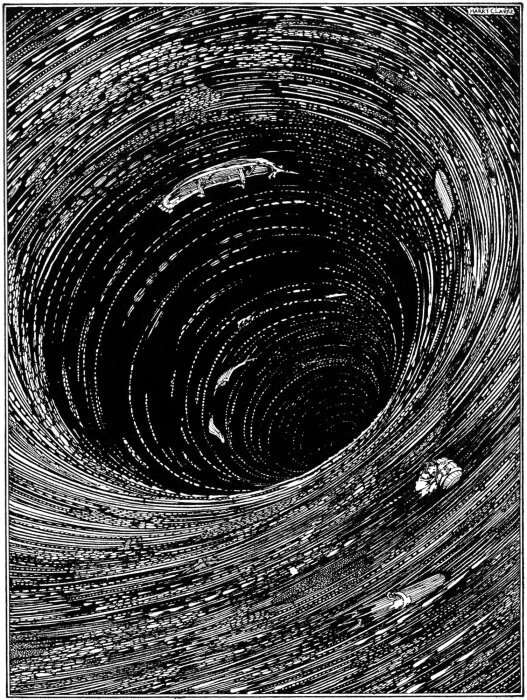 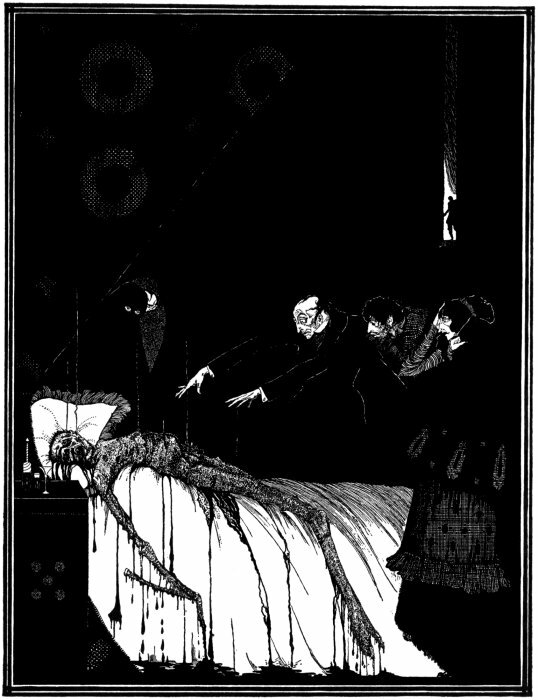 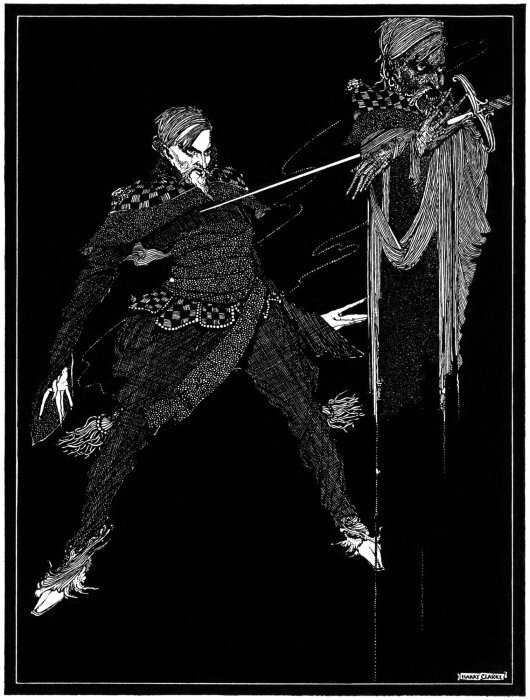 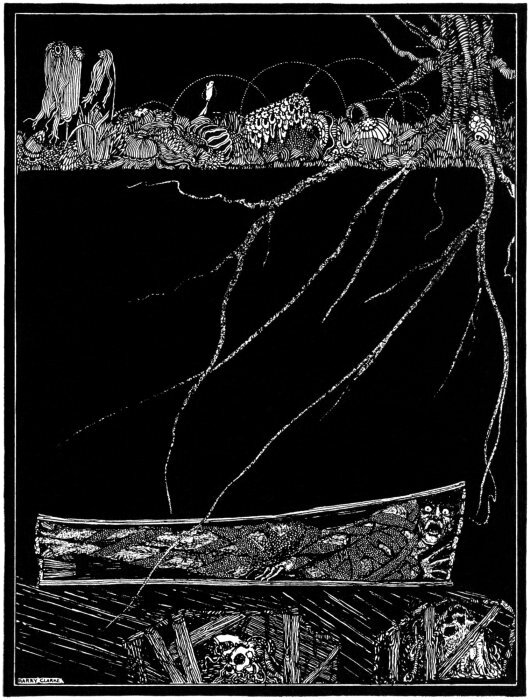 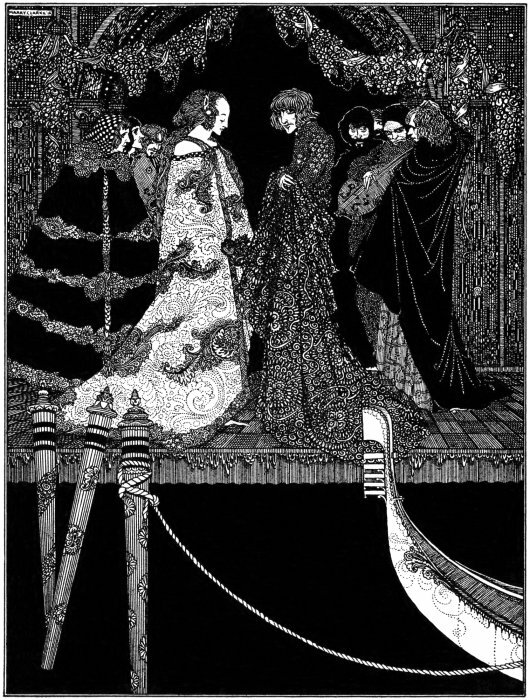 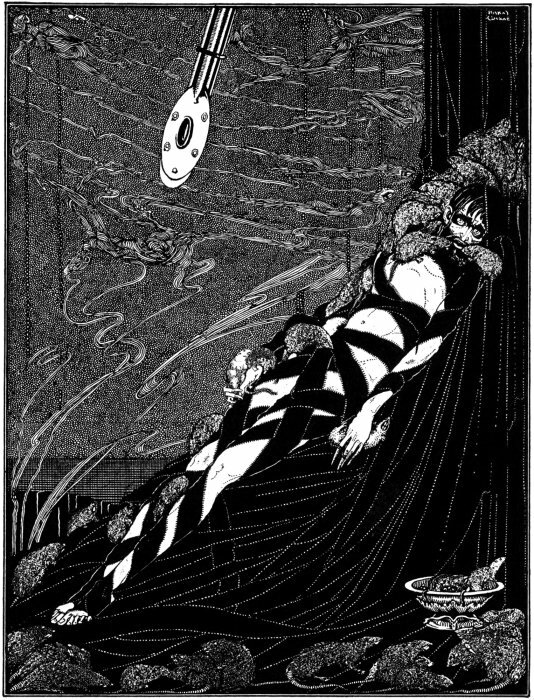 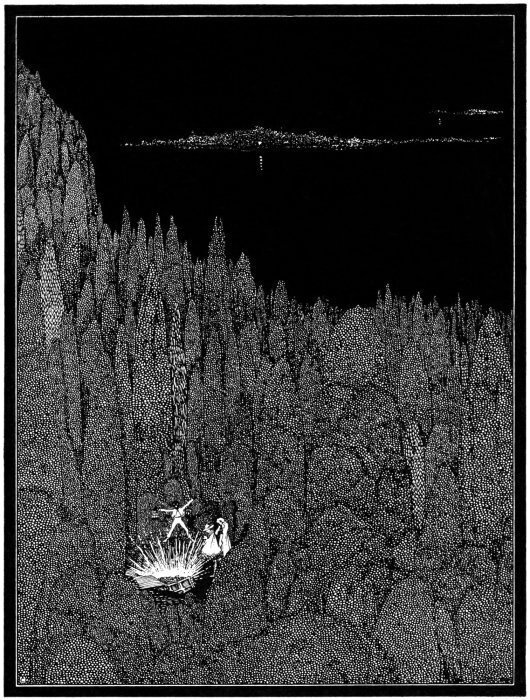 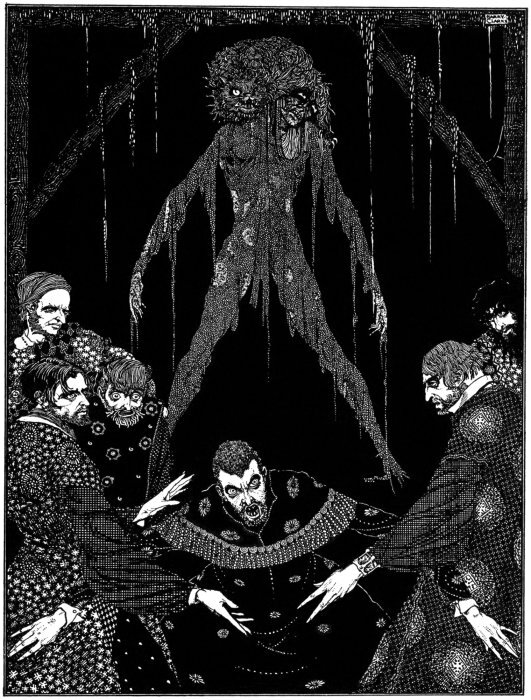 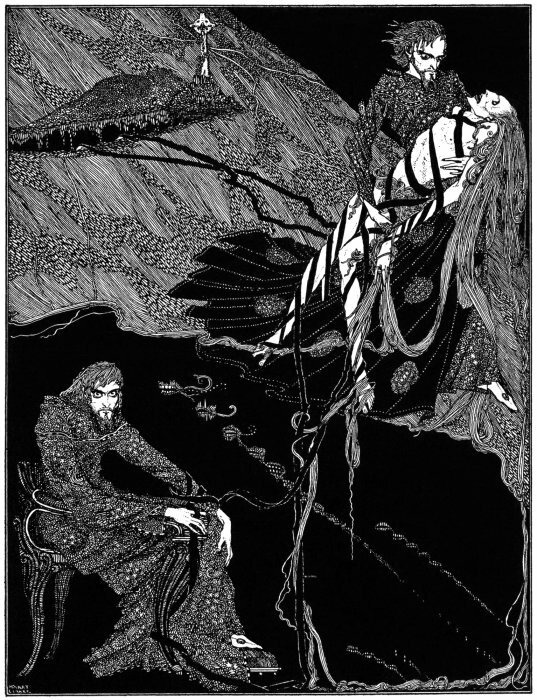 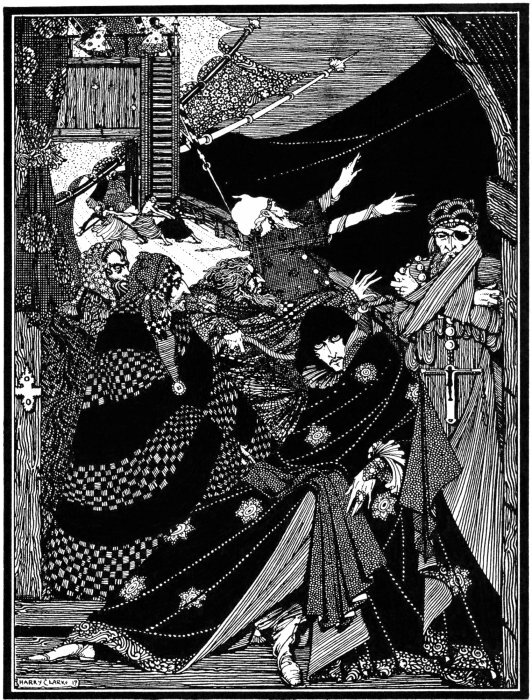 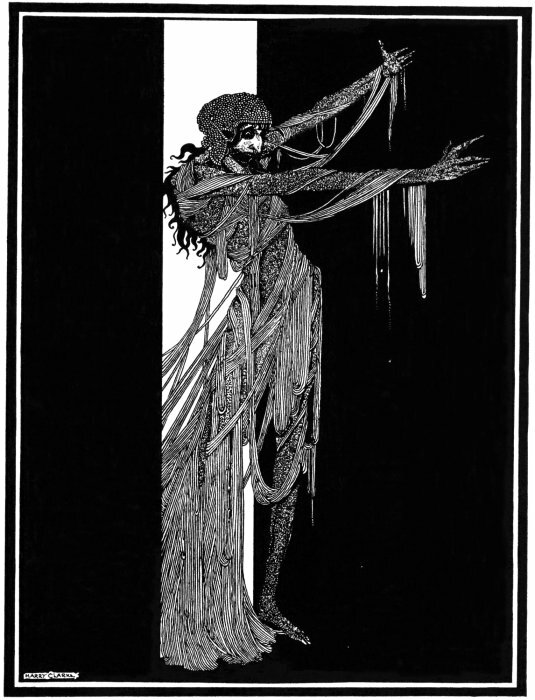 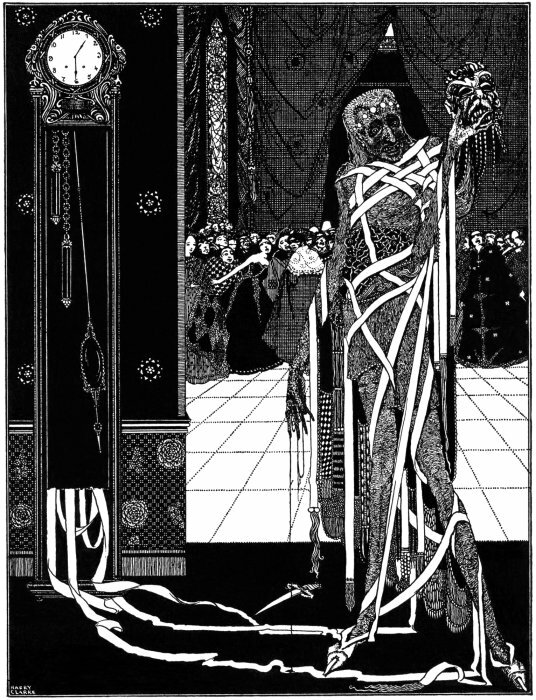 But perhaps it is the Irishman Harry Clarke who has come closest to evoking the delirious claustrophobia and frightening inventiveness of “Poe-land”. 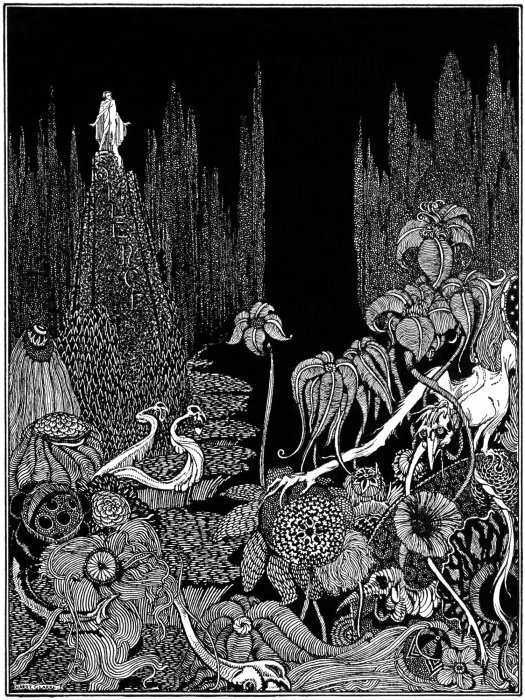 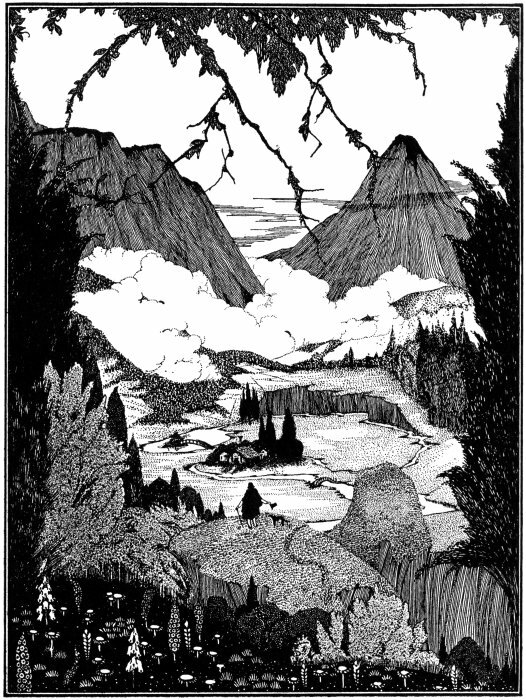 For the 1919 edition of Tales Clarke created the twenty-four monochrome images featured below. 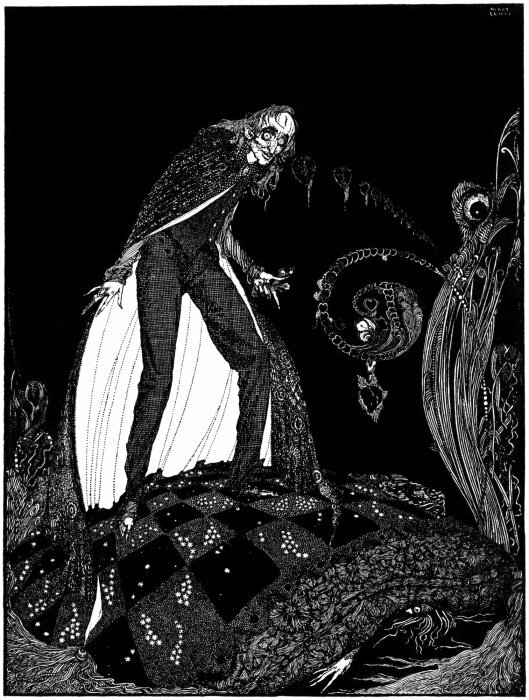 Their nightmarish, hallucinatory quality makes you wonder if he was on something, until you remember the stories. 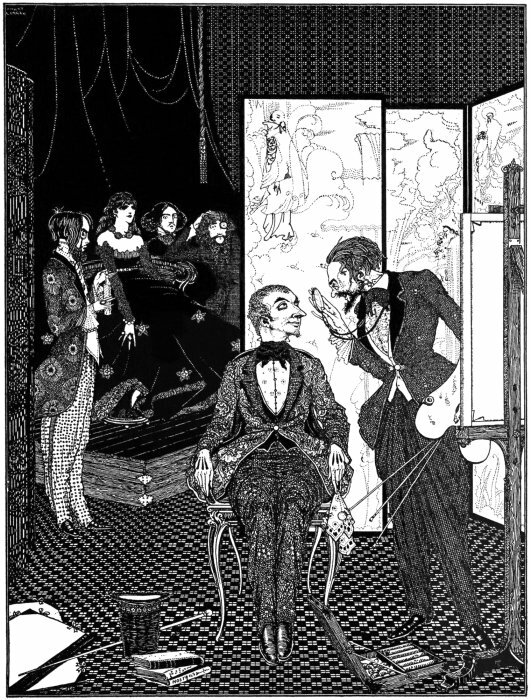 A new iteration with eight colour plates was published in 1923. 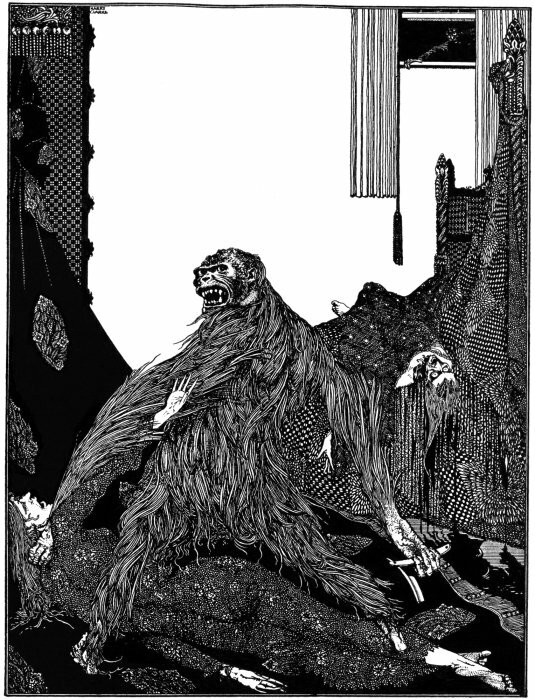 Calla Editions recently reprinted this second edition and gave it a sane price tag. 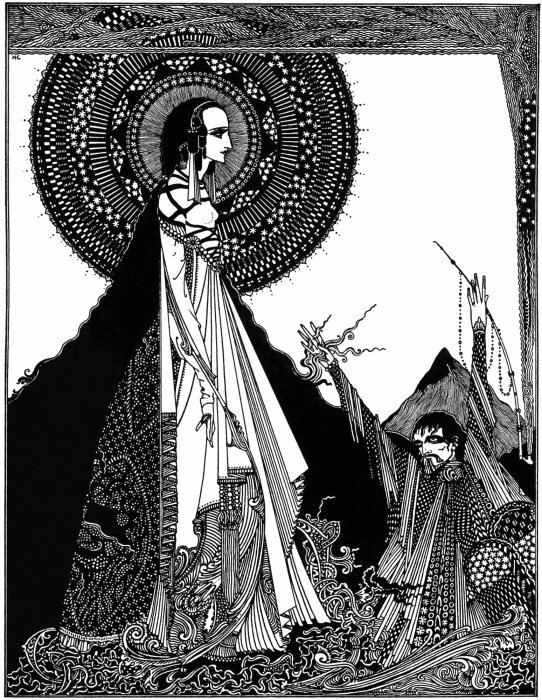 You can learn more about the under-appreciated stained glass artist behind the mesmeric illustrations in our essay “Harry Clarke’s Looking Glass” by Kelly Sullivan. 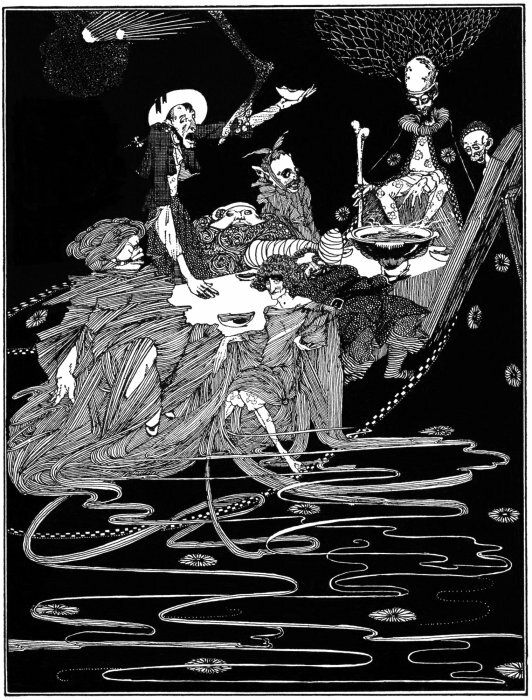 Want them on your wall? 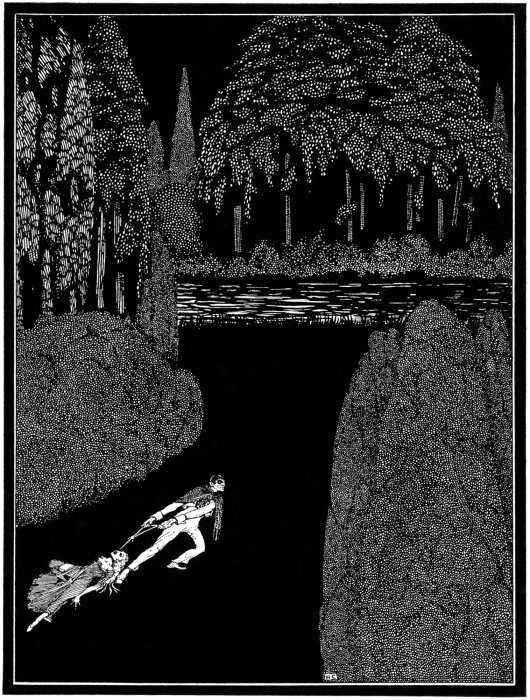 We’ve a selection of the illustrations available as prints in our online shop. 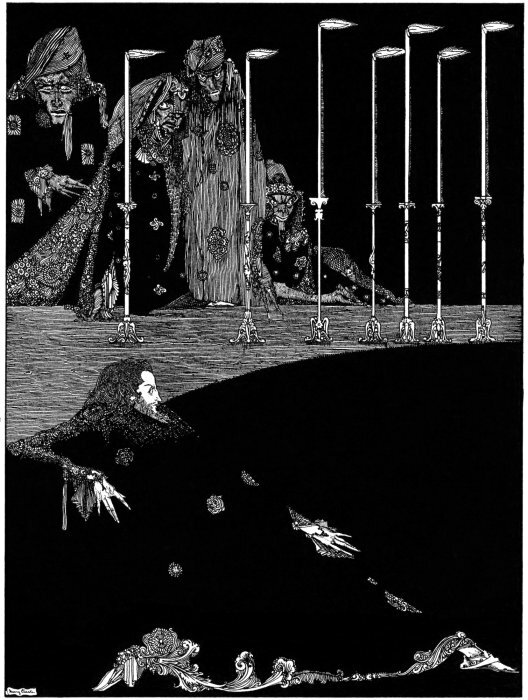 Want them on your wall? 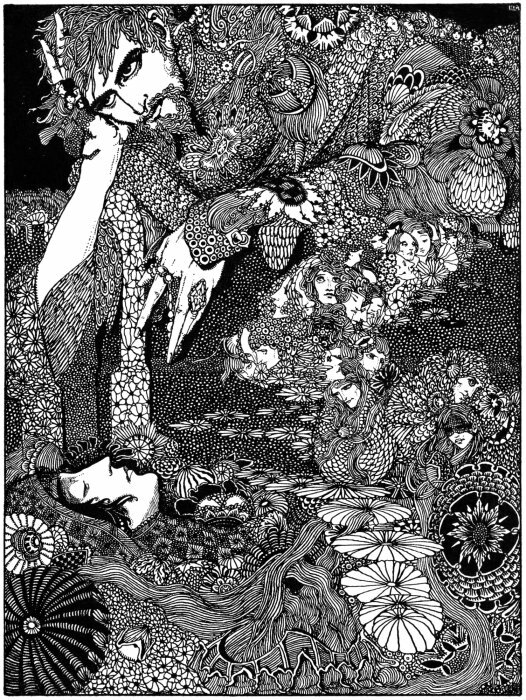 We’ve a selection of the illustrations available as prints in our online shop.